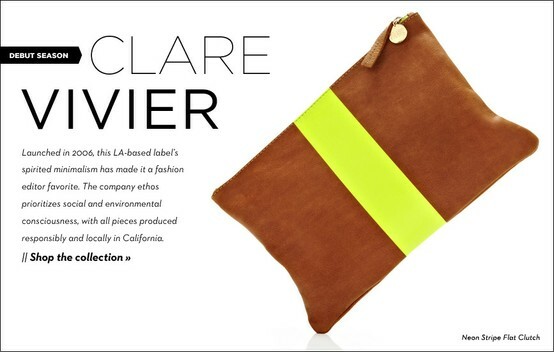 Introducing the ultra-trendy + super functional fold-over clutches made by L.A. based designer Clare Vivier. 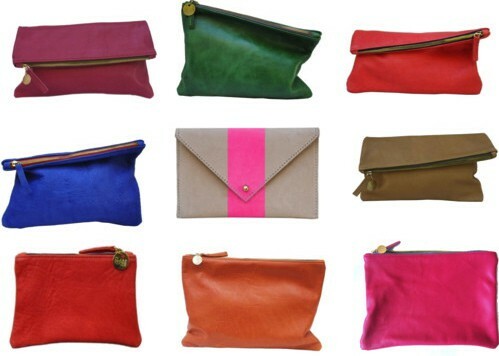 After noticing these gorgeous clutches held tightly under the arms of the stylish again + again on Pinterest, I decided to do some research of my own + was pleasantly surprised to learn more about the designer & her growing collection of functional bags + socially conscious practices. 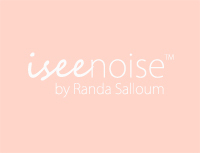 You can see more on her website here! 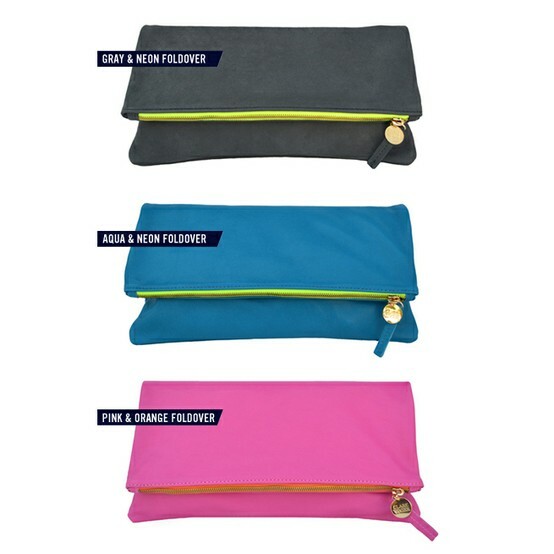 These bags are so gorgeous. I love the pink and orange fold over the best.